Home \ Blog \ Rav Schwab and Bar Yochai? Rav Schwab and Bar Yochai? 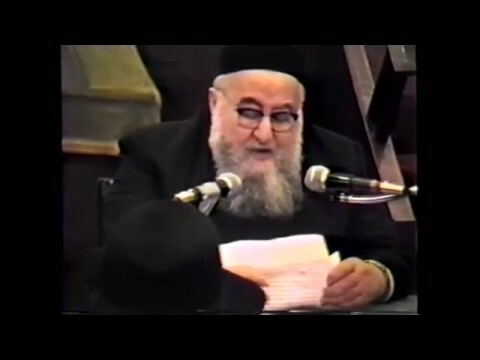 There is seemingly no connection between our late, revered Rav and the festivities of Lag Ba’omer. Specifically, because we do not mix into overtly kabalistic rituals, and the Chatham Sofer was very wary of the pilgrimage to Meiron in honor of the yahrzeit of Rabi Simeon b. Yochai. Yet there is a sublime connection and a message here. The great Chasidic work, Agra D’pirka, by the Chasidic master Bnei Yisaschar, begins with an acronym. The first word of the Torah, Bereshis-spells out in scrambled acronym, Ohr Toras Rahi Shimon Bar Yochai. He goes on to list other great people with those initials, such as Rashi ( shlomo Ben yitzchak), the Arizal ( Yitzchak Ben Shlomo ), and more. I will add the acronym of Rav Schwab, Shimon Ben Yehuda. Now you may ask why is he similar to the one who carries the name Shimon Bar Yochai? The answer is simple. The gemara in Maseches Shabbos relates how Rabi Shimon entered a cave with his son as they hid from the Romans and delved for many years in the study of Torah. When they were finally told that it was safe to emerge they gazed upon a Jewish farmer working his field and having reached a very high level of aestheticism, they could not see any justification for human involvement in the physical world. Their gaze alone was enough to set things on fire, and a Heavenly voice instructs them to return to the cave. They emerge one year later, and this time Rabi Shimon is able to see the latent devotion to Gd in the simple lives of the land folk. When a serious student of the Talmud reads this account, he does not fall into the trap of applying an overly simplistic interpretation of Rabi Shimon. There is not the immature version that left the cave too early and the enlightened Rabi Shimon who can now see the good in mankind’s mundane endeavors. That reading of Rabi Shimon has the reader smugly privy to something Rabi Shimon still needs to learn. Rather, there is the Rabi Shimon who appreciates the beauty of Torah, and it’s supremacy over all of the creation. In this view there is nothing to be gained elsewhere. It is all useless. Rav Schwab also had a change of heart. This is not a secret, because he documented it, famously. When he was a young Yeshiva student out of Frankfurt, and launching a career as a Rav in the town of Ichhenhausen, he sent correspondence to the greatest Chachomim of Lithuania, exploring the validity of Torah im Derech Eretz, the philosophy of his youth in the Hirsch Realschule. In the heat of the Nazi rise to power he saw the approach of TIDE as a miserable failure that relied on the morality of the nations- which was falling flat on its face. And it seems both Rashbi and our Rashbi (!) drew upon the strength of their brush with greatness, years in the shadow of a cave, or the Mir & Telz- and in light of this great light saw the devotion to be found in everything. But to think that the idea of “everything is holy” could be espoused without the delicate appreciation of the great light that is hidden in our Torah, and the strictness that needs to stand behind the quest for holiness- well, that would be like TIDE without Austritt- to use Rav Schwab’s formula. Rav Schwab passed away on Purim Katan. On most years his Yahrzeit is observed on Purim itself. And Purim, we know, always falls on the same day of the week as Lag Ba’omer. Furthermore, the Rema at the very end of Orach Chaim in talking about Purim Katan proclaims the verse “VeTov Lev Mishteh Tamid”. This verse is an allegorical allusion to Lag BeOmer according to the Bnei Yisaschar (Tov numerically is 17, Lev is 32- the exact division of the omer at Lag BeOmer). Incidentally it is also the day that the Rema passed away. So we have a standing connection between these sublime festivals, and we know that mastery of the entirety of creation begins with mastery and full devotion to the Torah. The epiphany of Lag BeOmer.